As a fresh push for Digital India, the Department of Telecom (DoT) announced that mobile subscribers will now be able to pay for digital content using their prepaid account balance or through postpaid bills. 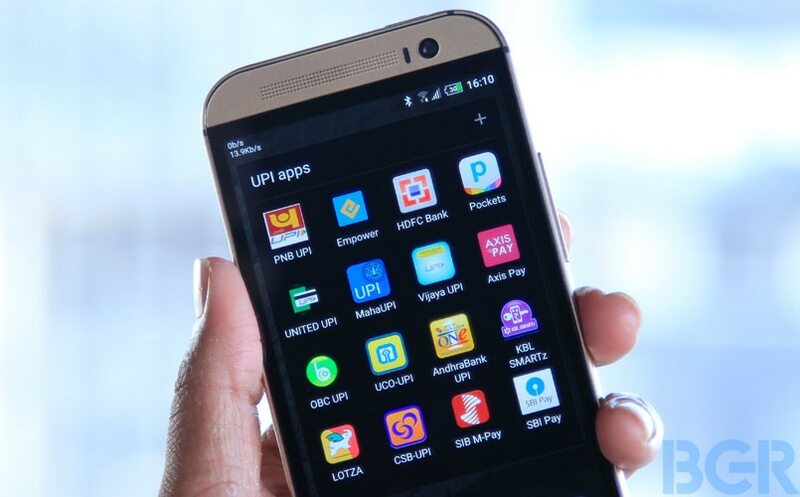 Following demonetization, there has been a surge in using mobile phones for making payments. While mobile devices can be used to purchase physical items through payments apps or bank apps, the new move allows one to purchase digital content such as apps, e-books, music, and more. 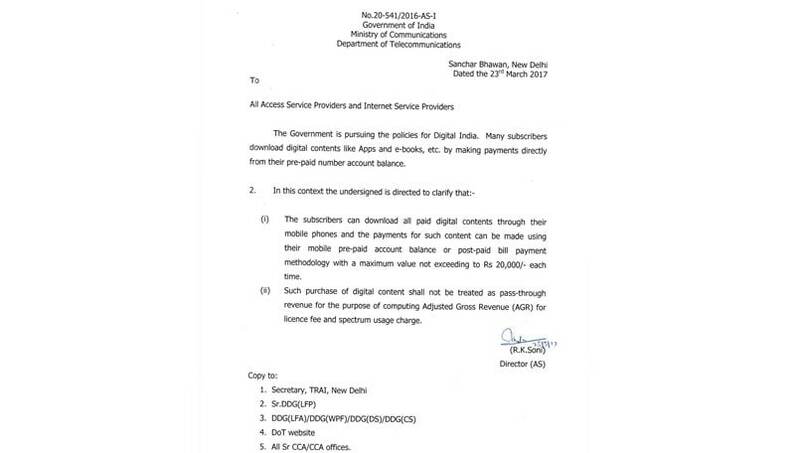 In its order, DoT notes that the subscribers can download all paid digital content through their mobile phones and the payments should not exceed Rs 20,000 each time. Additionally, these purchases will not be deducted from telecom operators’ total revenue to calculate adjusted gross revenue (AGR). DoT’s announcement follows. With the new move, one will be able to simply register their mobile number and based on app store support, either direct billing or prepaid balance can be used for purchases. So the next time you want to buy an e-book or a movie, you will be able to do so simply by choosing the payment method as your mobile balance or bill. It is worth noting that DoT doesn’t categorically mention if the payment system will also support digital content purchased from services like Netflix, Hotstar, Gaana, or Amazon Prime Video. Last year, Google introduced the direct carrier billing system in India. Initially started in partnership with Idea Cellular, the company extended the support for Airtel and Vodafone subscribers as well. Direct carrier billing allows users to make purchases on the Google Play Store and pay through integrated carrier billing instead of using credit or debit cards. The integrated carrier billing option works for both prepaid and postpaid subscribers. The purchases can be deducted from the existing prepaid balance or come added into the monthly bill in case of postpaid users. The direct carrier billing can be activated after registering; go to Google Play -> choose the menu option on the left -> go to Account -> add payment methods -> Pay using (service provider). You will then be sent a verification code and once you apply the go, your new payments method will be activated.